Posted on 26 May 2012 and filed under Clutch Bags. 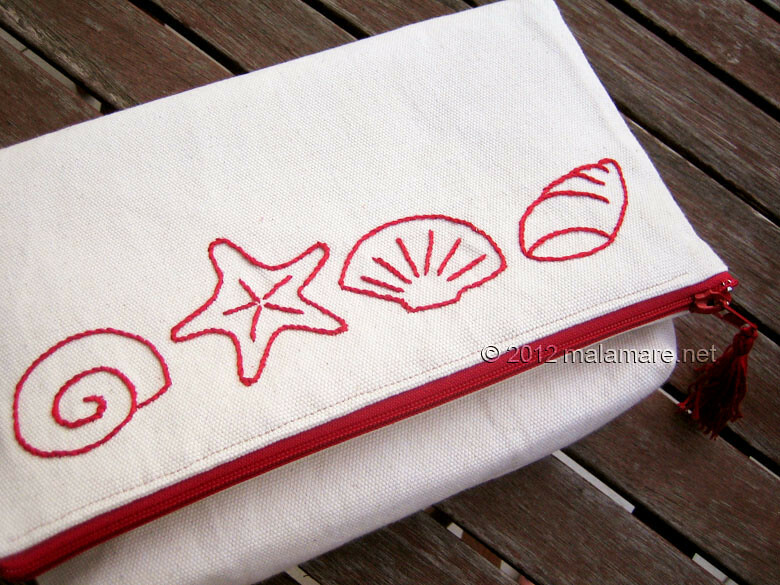 So I wanted to see how a pattern I made in appliqué on the Coral bag would look when embroidered, as a simple drawing. 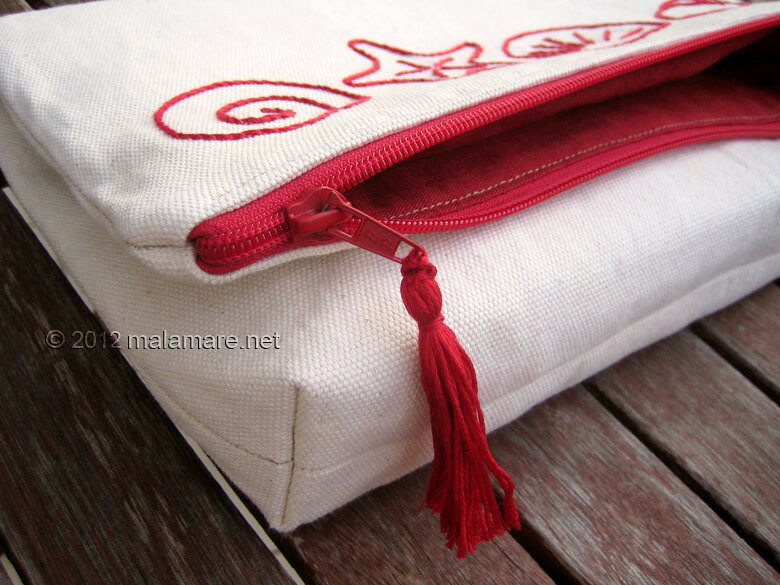 Red on white, red cotton embroidery floss on ivory cotton canvas on a fold over clutch bag. Just right for the summer! 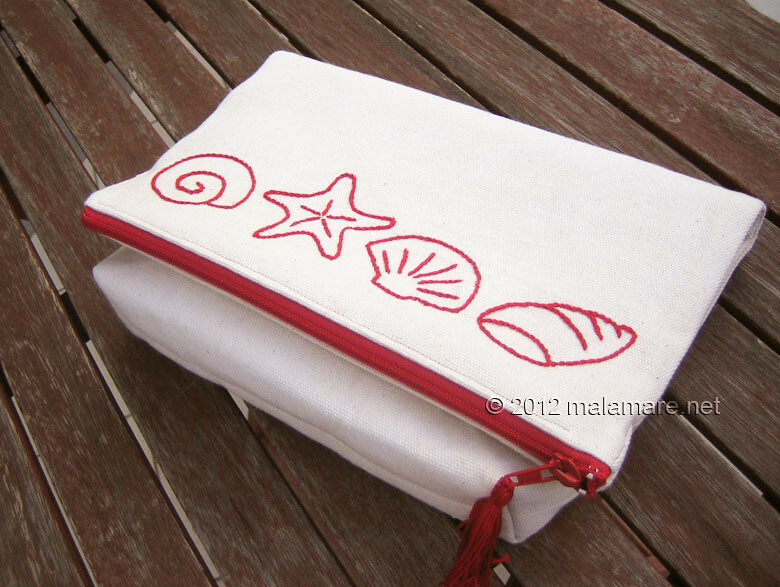 I made the Sea Shells fold over clutch from ivory cotton canvas, fully interfaced for structure and durability. 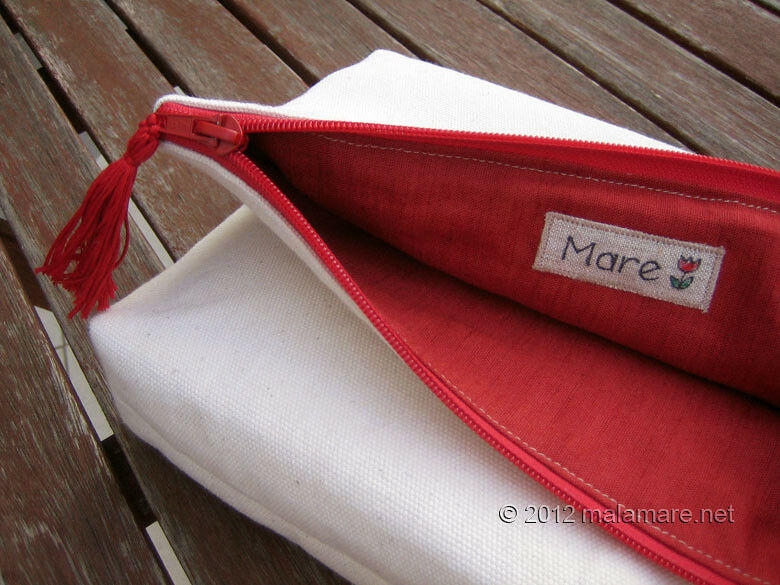 The lining is made from red cotton fabric and there is one pocket inside of the bag. 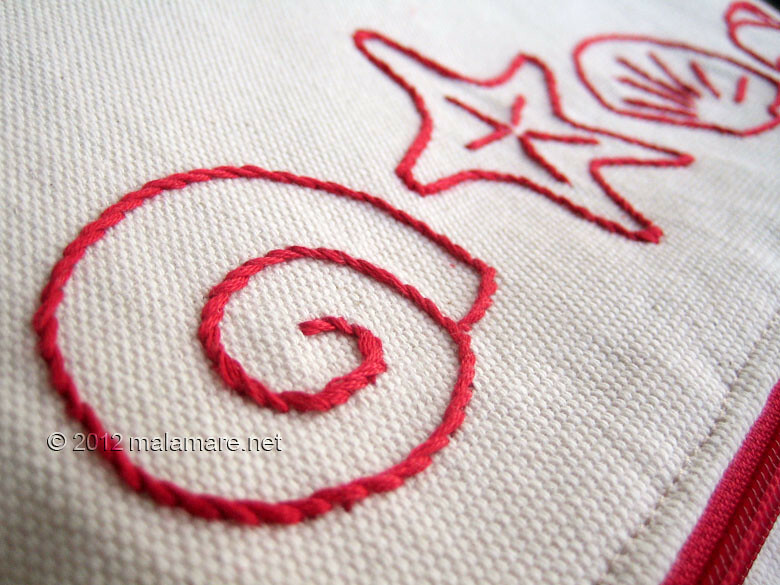 I hand embroidered the sea shells motif with red cotton embroidery floss using the stem stitch. The bag is around 30 cm wide and 20 high when folded. It closes with red zipper to which I added a tassel I made from the same embroidery floss.